Images from the camera of Ian Knight. 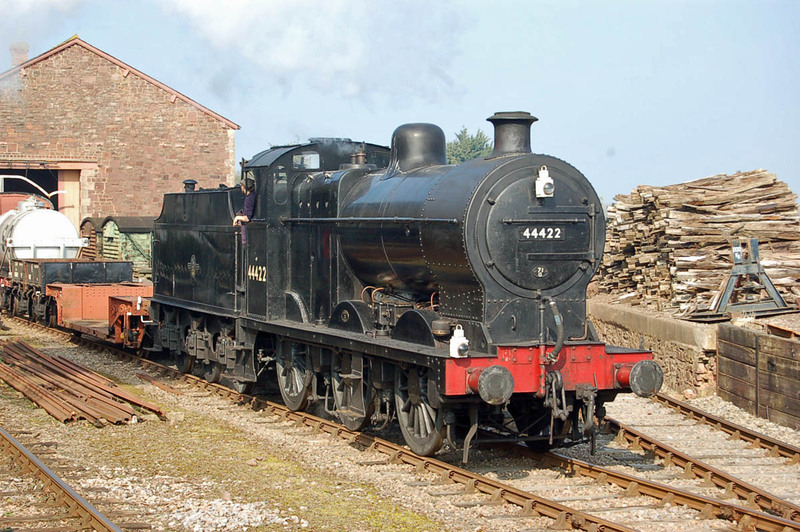 LMS 4F 0-6-0 44422 shunts at Dunster. 5 of the MR ordered version of this design were delivered to the S&DJR in 1922 as Nos. 57 to 61, eventually 44557 to 44561. BR 4MT 2-6-4T '80043' rounds the curve at Watchet. 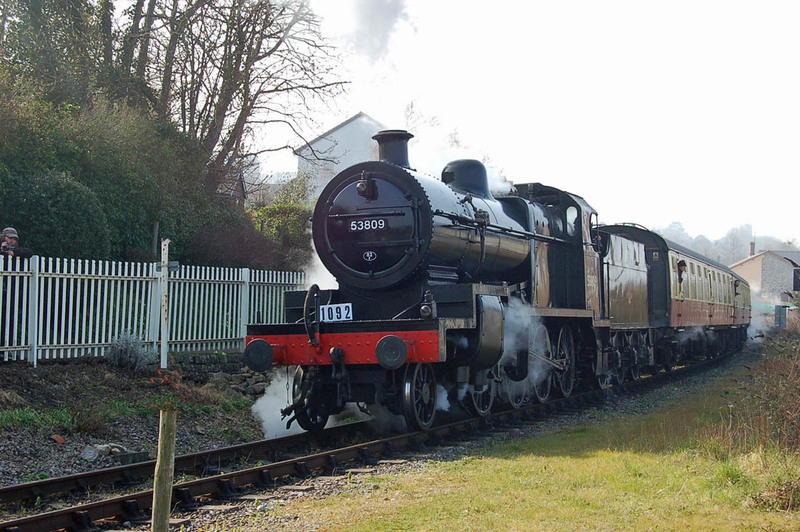 80072 from Llangollen is running in disguise. S&DJR 7F 2-8-0 53809 built in 1925 by Robert Stephenson at Darlington. 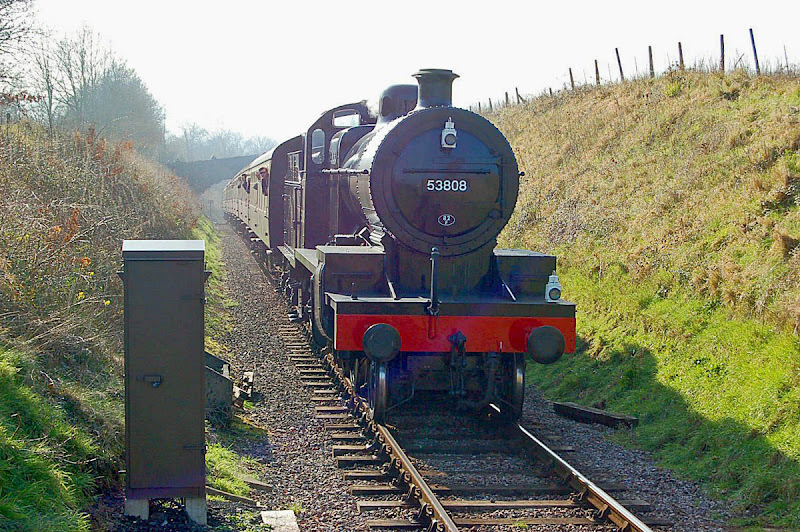 Sister locomotive 53808 approaches Washford. Peckett 0-4-0ST (No. 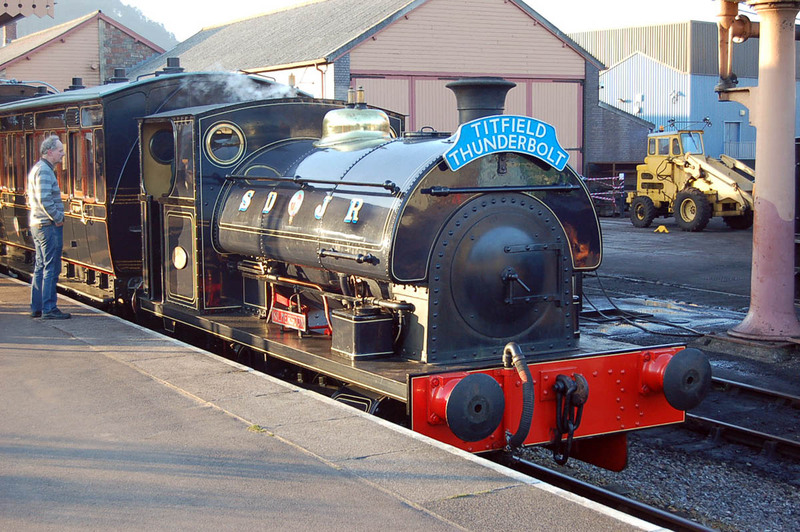 1788 Bristol 1929) Kilmersdon, the last steam locomotive to work on the Somerset Coalfield. Further coverage on the news page of the much recommended Taunton Trains. 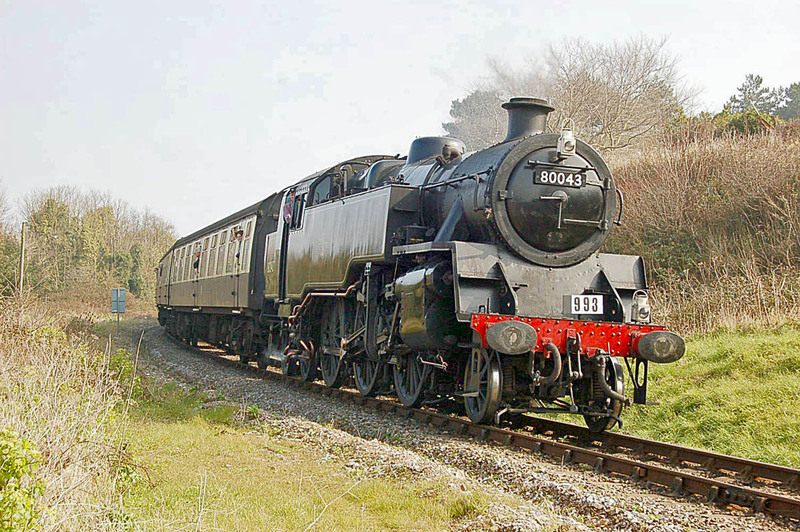 The gala was considered to be successful with 6627 visiting passengers over 4 days. A note on S&DJR motive power from 1930.